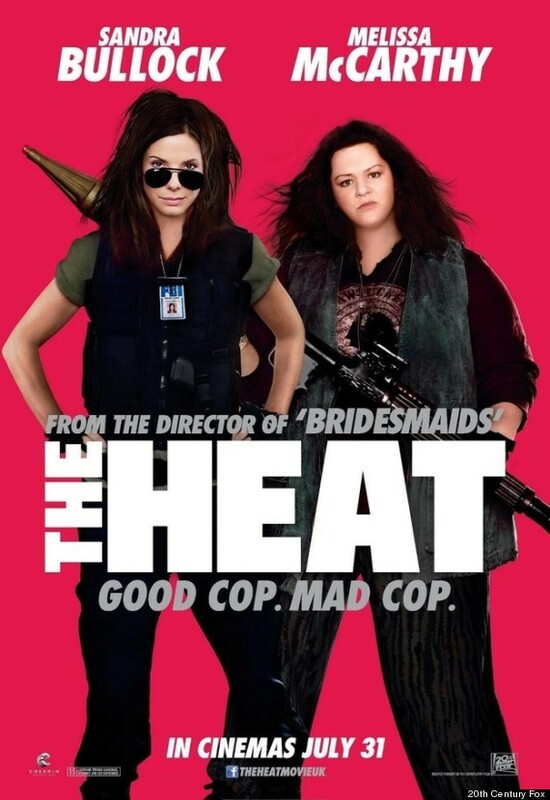 From the director of 'Bridesmaids Paul Feig comes 'The Heat', an action comedy which sees Sandra Bullock's return to cinema after two years. Uptight FBI agent Ashburn (Sandra Bullock) is sent to Boston to investigate a drug kingpin by the name of Larkin in return for being considered for a promotion. Upon arrival, Ashburn meets Mullins (Melissa McCarthy), a foul mouthed policewoman who operates with no rules and the two are forced to work together to arrest Larkin. Will the two be able to set their differences aside and co-operate? Or will they simply drive each other insane and expose themselves? At 117 minutes long, the film is a tad long and doesn't bring anything new to the genre, but in a way it is self aware and places the emphasis on the two leads, both of which carry the whole movie successfully. 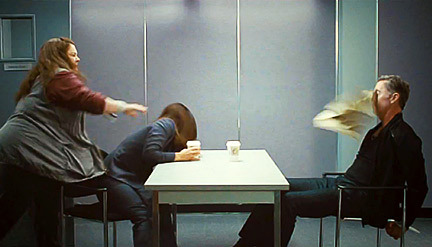 The contrasting characteristics of Ashburn, a sensible, by the book, competent and at times arrogant compared to the foul-mouthed, aggressive, almost vigilante-style Mullins allows the inception of some hilarious scenes within the movie. Whilst the undermining of the two are comical, the real humour kicks in when they start working together, with varying style- moments to highlight include an early interrogation scene, the nightclub bathroom scene and the final sequence. To be very honest, I wasn't completely paying attention to the whole drug ring plot and I didn't need to. The humour comes through regardless of plot and in this way, the two leads could really have been in anything together and it would still be hilarious. It is like watching an action movie that doesn't require much plot to enjoy. As the movie finally does climax, it does so with power and a drop of emotion, though mostly predictable and typical of the genre. Nonetheless, it was enjoyable and the finale was the best part of the movie by far. Also stars Demian Bichir and Marlon Wayans. It is great to see Sandra Bullock return to comedy and here, she is her gutsy self- think Bullock in Miss Congeniality crossed with The Proposal, gaining laughs through her actions, whilst Melissa McCarthy is definitely a woman of words- her foul mouthed character had a lot to say and though at times forced and over the top, has a few moments of glorious humour. 'The Heat' doesn't try to bring something new to the genre, but relies on its two brilliant leads to craft a humorous dialectic in the two contrasting characters' relationship. Though over the top and silly at times, it is nonetheless enjoyable and though long, the ending will be worth the wait. And cinemagoers apparently enjoyed it so much, a sequel is currently already in discussion!